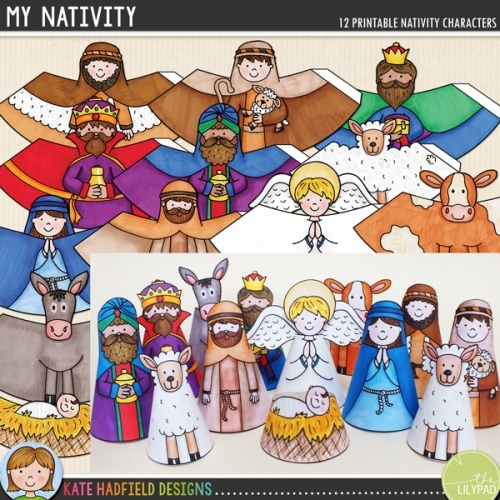 A fun set of 5 hand-drawn Christmas characters to decorate your home! 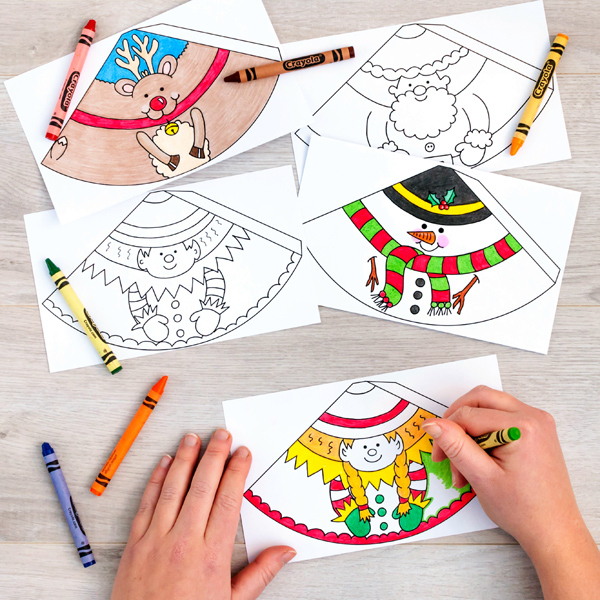 Simply print out, colour with your choice of art materials, cut out and then roll up and glue together to create a cute Christmas cone character. 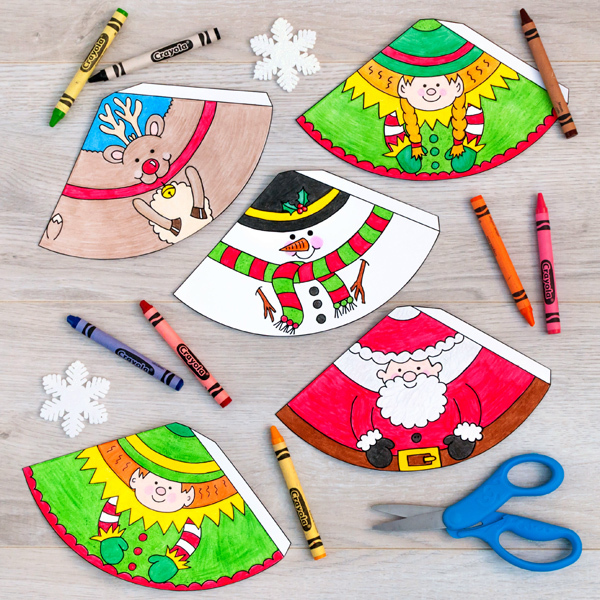 You could even add some ribbon to hang them on your tree! Contains the following characters: reindeer, elf boy, elf girl, Santa and snowman. Approximate size: 10.5cm tall. All images are 300 dpi for best quality printing. 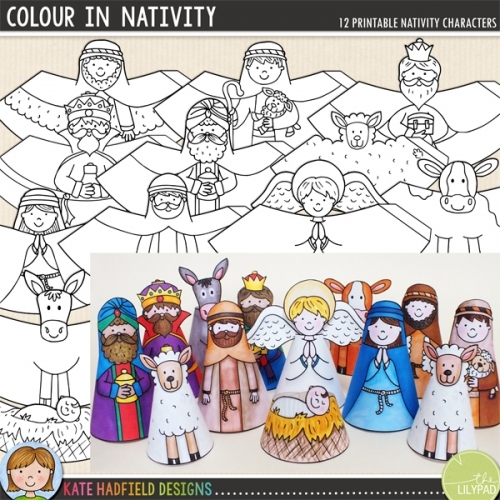 Colour in the characters with your choice of art materials! 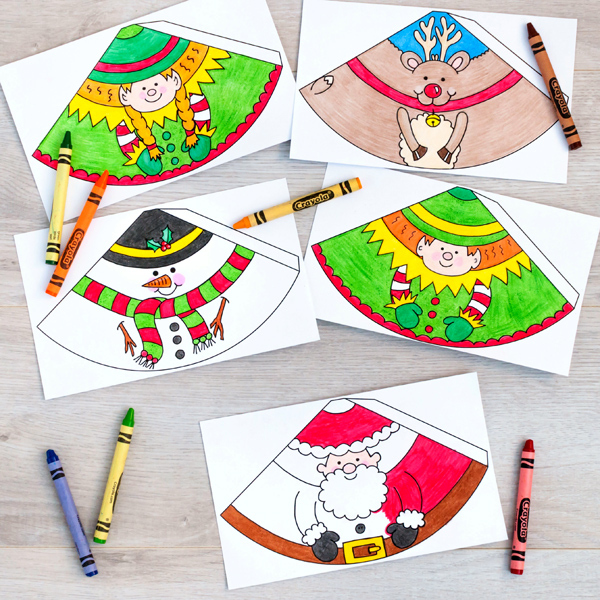 You might like to attach a piece of knotted ribbon to the inside of the cone before rolling if you want to hang the decoration. (You can also push the ribbon through the hole at the top of the finished cone if you don’t add it at this stage). Roll the cone round with the tab on the inside and stick together. 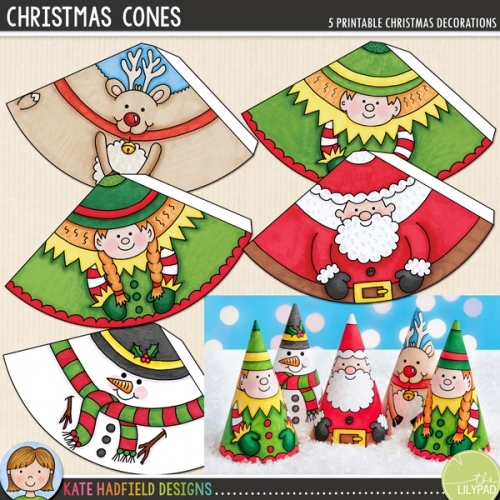 You might like to finish off the cones with some extra embellishment! 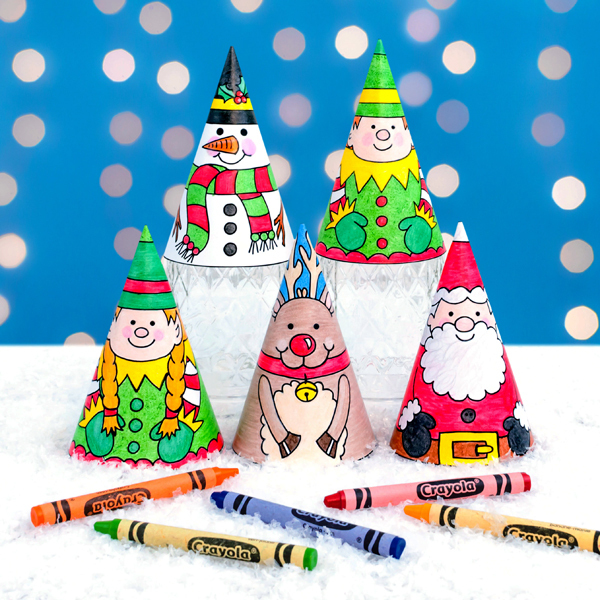 You could try adding a cotton wool beard or hat bobble to Father Christmas, or maybe add some extra sparkle to the snowman with some glitter glue! 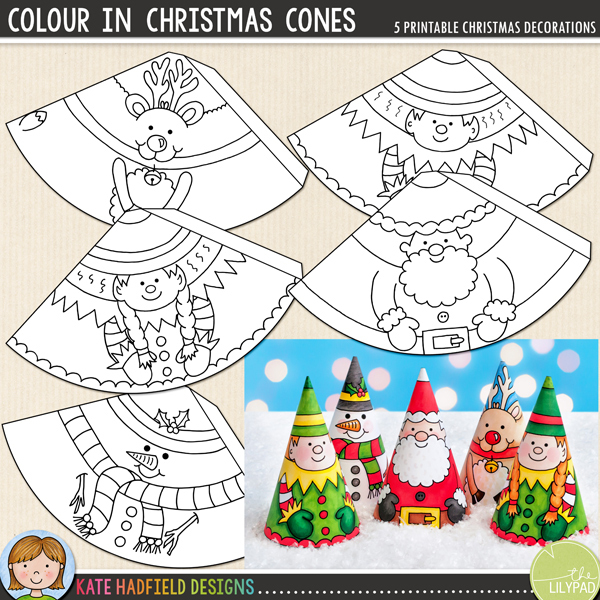 For a quick and easy Christmas decoration, you might like the precoloured version of this craft: CHRISTMAS CONES!